Chabad Center of North Hollywood has become a popular center for Jews of all backgrounds who want to learn more about their Jewish roots. 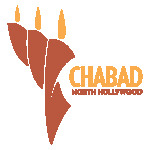 Located in North Hollywood, CA, Chabad offers a wide variety of educational and spiritual opportunities, including Torah classes and lectures, Shabbaton dinners, and an array of family and social activities. Traditional Jewish values are brought to life in a joyous, non-judgmental atmosphere. Chabad is under the spiritual guidance of Rabbi Abend, a warm, caring and energetic individual, who formed the congregation many years back. The rabbi's approach is that Torah must be presented and experienced in a modern, relevant context and made available to each individual on their own level. Rabbi Abend and his wife are emissaries of the Lubavitcher Rebbe, Rabbi Menachem M. Schneerson.